SAME DAY iPhone 7 Repair from CCRepairz! SAME DAY Broken iPad Repair from CCRepairz! Let us handle your broken iPad Repair! Call (702) 979-0033 for an appointment today! You probably love your broken iPad and had looked forward to using it for years to come, but now you need to decide whether or not to repair or replace it because your broken iPad no longer functions properly. Don’t fret! 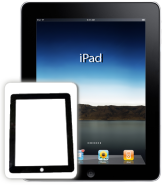 CCRepairz Now Offers iPad Mini Repairs Henderson!